Small, XXL, super-sized, stuffed, in brioche, with bacon, extra brie (? ), in Brisbane we like burgers any which way. So if you think you’ve seen it all, tackled the metaphorical whales of the Brisbane burger world so to speak, you’d better have tried the absolute best burgers in Brisbane. All hail the humble burger: it’s not going anywhere fast. The famed Ze Pickle made their name in levelling up burger chow and now they’ve gone full turbo and cranked their entire operation up to full tilt. The magnificence of this titanic burger haunt is evident in the Ze Pickle’s pecan wood smoked brisket burger. That's smoked brisket, topped with house made mac n’ cheese, maple smoked bacon and corn chips between their famous brioche bun. Not for the faint hearted. If you need a more detailed description of a Ze Pickle experience, click here. Shaved meat grilled in flatbread is not a burger. Raw fish on rice is not a burger. Fermented grape juice in a box is not a burger. If you can’t tell where I’m going with this, check out Ben’s Burgers. They teach one lesson and the lesson is this: a burger is a beef patty with sauce, cheese and potentially crunchy accoutrements between a fluffy sesame seed bun. Don’t get it confused. Our pick? The Cheezy: a beef pattie, American cheese, pickles, onion and their special sauce. Gaming geeks will recognise the nod to iconic 80’s game, Street Fighter, throughout Super Combo’s menu, but there’s one pattie in our eyes that tops the Brisbane burger hunt: The Sonic Boom. This fried chicken, smokey mushroom sauce, cheddar cheese sauce, candied bacon, pineapple chutney, slaw and aioli mega mash up is well worth the calorie count. Where the fries are more than a side, Getta Burger's feasts are proper beasts. Their entire menu holds its own pretty well against the stiffest of Brisbane’s burger competitors, but the standout has got to be the Getta Boss, which is not only a revenue-raising, micro-managing, synergy-promoting juggernaut but is such a daunting prospect that to finish one of these suckers is the burger equivalent of a touchdown. Now, before you get all up in arms, we know Bird’s Nest are known for their incredible yakitori skewers. But, and this is a big ‘but’, we rate their karaage burger pretty damn highly. The fried chicken is perfection and, layered with wasabi mayo, salsa, a tare reduction AND fresh cabbage, this is more than just a random menu add-on—this is a bloody great burger. 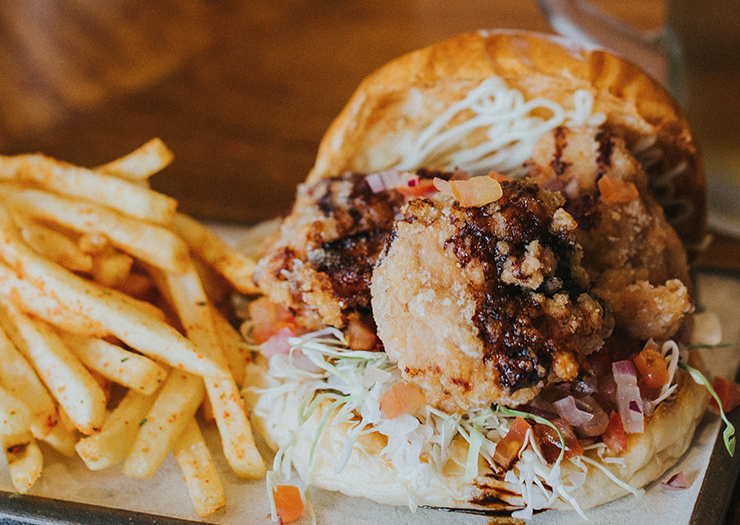 And look, while we're on the topic of the chiky burg, check out Lucky Egg’s Buffalo Crispy Fried Chicken burger, where your hefty serve of crispy fried chicken is topped with cheddar and pickles. They've even got vegos covered too with a tempura fried eggplant burg, complete with cheddar, pickles, and slaw, and a moreishness to rival its meaty cousins. The folks at Miel trust you completely. That's why they let you customise your burger with a build-your-own menu! Myriad combinations of gourmet burgers await the whims of your wildest dreams. Design your dream burger with options of six proteins, two kinds of buns, four types of cheese, a whole salad bar, and no fewer than SIXTEEN different sauces. Is this paradise? Close, it's Miel Container. Fritzenberger’s pillowy soft, sweet buns are the key here. Their burgers are jam-packed with flavour and yet you never walk away with that, ‘gee I really over did it again’ feeling. 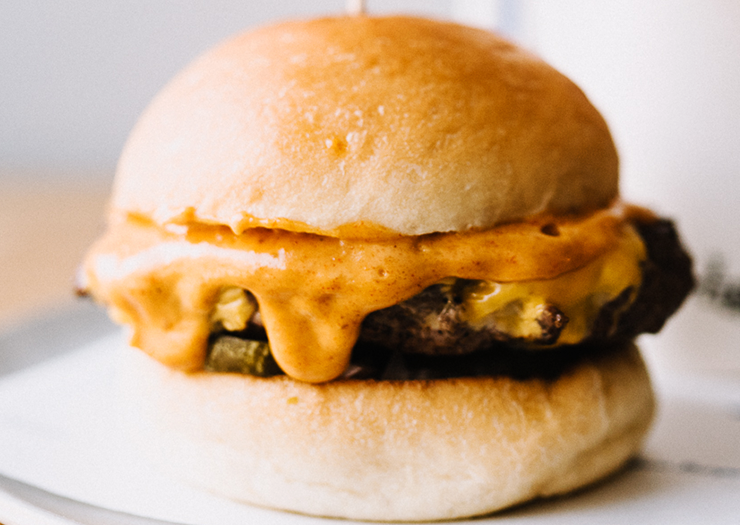 We dig on their classic cheeseburger; grass-fed beef pattie, lovingly draped in aged cheddar, with house-made organic ketchup, mustard, Spanish onion and house-pickled pickles. Drool. There's nothing I like more than New York street food. Pride of the menu, Red Hook's Grandmaster Flash burger is a tasty explosion of all the usual suspects: beef, pickles, lettuce, tomato, ketchup, and smoky mayo. All dressed up with a wee pickle skewered through the top like a Philip Treacy. A bite off one of these babies is like getting punched in the mouth by a unicorn. When Neil Perry launched his famous Burger Project in Brisbane, we hustled to try every burger on the menu and we can tell you right now that if you have any fondness for the burg then you will fall hard for the Magic Deluxe: featuring their famed beef patty, crumbed confit mushroom, cheese, onion, pickles, tomato and a dollop of secret sauce. Eat. It. Now. Whoever is behind the menu at Chur Burger is clearly not starved of innovation. Beef is not the only source of glory and Chur’s truly staggering array of choice covers everything from chicken, chickpeas and pulled pork, to lamb, pork belly, and a zesty crumbed fish fillet. Now for the impressive part, literally everything on the menu is outstanding. I’m not playing. Choosing a ‘best of Chur’ would be like trying to decide which Backstreet Boy I love most, ie impossible. A Jindalee favourite, Poppy’s doesn't mess around when it comes to a patty and a bun. Their compendium of burger offerings is a mind blowing testament to the tenacity of our burger-loving city totalling a whopping 69 different burgers (don’t be so childish) championing everything from standard beef patties and steak to meat free wonders and twisty concoctions. Is there one with pineapple? Of course there is. 5 Boroughs has created the ultimate New York street-food menu capable of impressing even the most discerning Yankee. Beware, the menu is intense and offers over a dozen burgers alone, not to mention tacos, ribs and sweet treats. The 5B Classic with Cheese will awaken feelings you never knew you were capable of. Brooklyn Depot is your one-stop shop for all foods ‘Americana’. I’m talking Philly-style hot dogs, Hershey’s chocolate shakes, signature slaw and caramel pecan brownies… You’re probably already drooling and we haven’t even started talking about the burgers. Do yourself a favour and try the Nashville (the Southern-fried chicken will blow your mind), or take a chance on whatever's going for Burger of the Month. A beloved Noosa institution, Betty's Burgers finally made their way south to Brisbane and goddamn if we aren't bloody grateful. Their burger menu is uncomplicated perfection, with plenty of sides and extras to customise your meal. But the prowess is not limited to the grill, Betty's also prides themselves on some incredible thick shakes and concrete sundaes. Brisbane went into overdrive when Melbourne-born burger royalty, Mr Burger made their way to town. 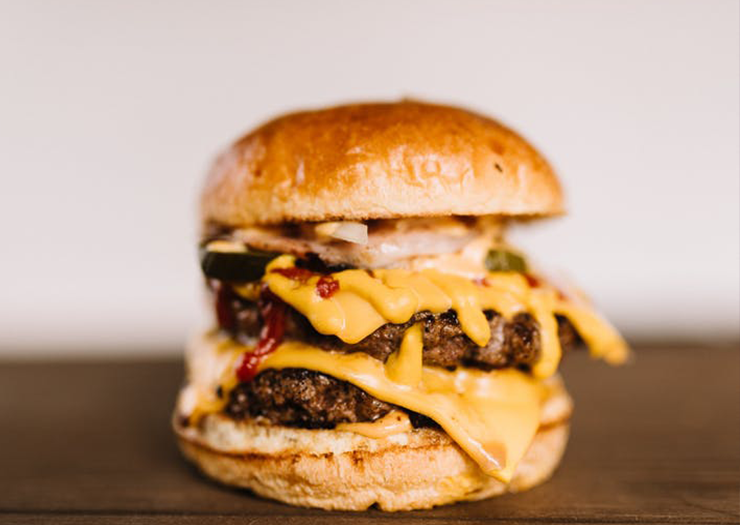 Now with a permenent gig at food truck hot spot, Welcome To Bowen Hills, there's only a matter of time until you clap eyes on their orange and white trucks, then tuck in to their infamous Mr Cheese, loaded fries and thick shakes. Where have you been all our lives!? When Paddo locals get the burger itch, there's only one place they trust to hit the spot, and that's Remy's. Their deck area is the perfect spot to down a Bloody Mary and a cheeseburger in the company of someone else's dog, and if you come by on a Sunday arvo you can get your burgs 2 for 1 with a side of free beats. 51st Street's NYC-style burgers are truly a sight to behold. Cranking out classic American burgs and fries paired with chilled craft beers, 51st has got classic patties in a soft bun down, er, pat. If you haven't tucked into their Streets Big Burger yet—a double patty, cheese, bacon, egg and onion ring-type situation—can you even say you're living life right? Beloved Brisbane burger joint Charboys are known city-wide for their fluffy buns and perfect patty—so you'd expect nothing short of magic when it comes to a decent cheesy. Sticking to the classic recipe, Charbiy's cheeseburger is straight up wagyu beef patty, special sauce, melted American cheese, tomato and lettuce. Why mess with perfection? 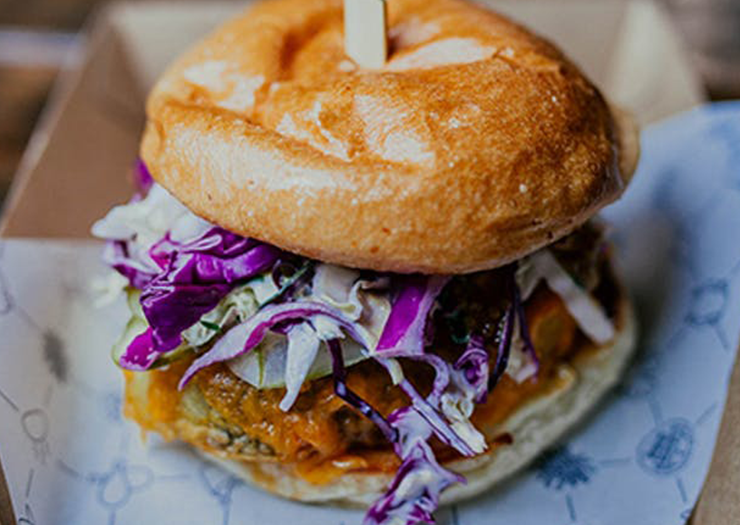 We've taken it national; check out the best burgers in Australia!